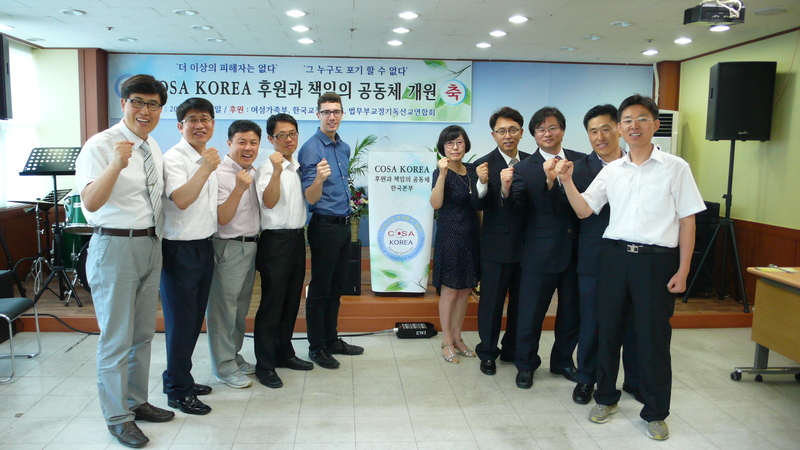 Congratulations to CoSA Korea on becoming the first CoSA program in South East Asia! 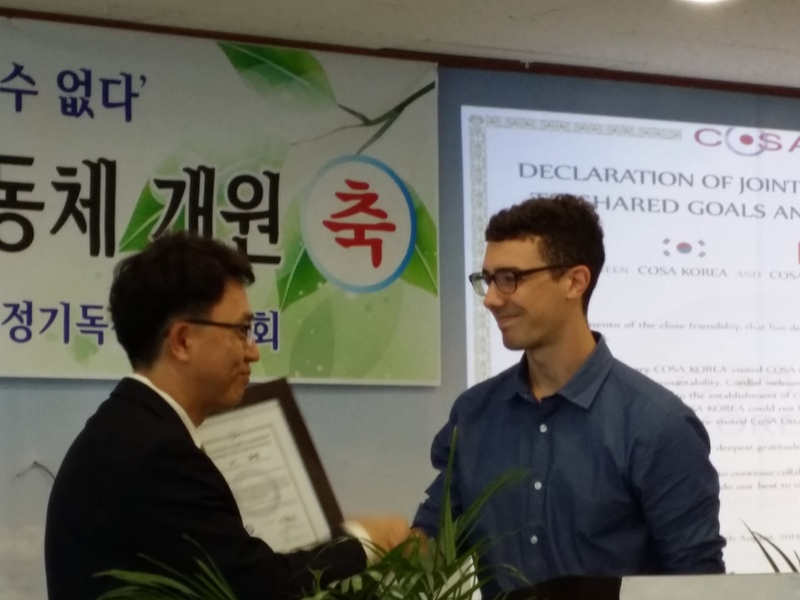 On August 9, 2014, Susan Love’s son, Patrick, who is currently working in Seoul, was honoured to present a Declaration of Joint Commitment to Shared Goals and Principles at the opening ceremony of CoSA Korea. On November 4th, Crime Prevention Ottawa presented CoSA-Ottawa with this year’s Community Volunteer Program Award amidst much pomp and ceremony at Ottawa’s City Hall. You can see CBC News’ coverage here. Rogers Television will broadcast the entire award ceremony on Sunday, November 17th, 2013 at 10pm. CoSA-Ottawa awarded the Community Volunteer Program Award for Crime Prevention Ottawa’s 4th Annual Community Safety Awards! On behalf of the staff, board of directors and all of us at CoSA-Ottawa (Circles of Support and Accountability), we are extremely pleased and honoured to report that CoSA-Ottawa has been awarded the Community Volunteer Program Award for Crime Prevention Ottawa’s 4th Annual Community Safety Awards! We would like to thank all of you for your support for us over the years – we would not have had the capacity to grow and flourish, as we have, without your involvement, collaboration and belief in us and in CoSA in general. The award ceremony will be on Monday, November 4th, 5-7PM (5 p.m. hors d’oeuvres and networking; program at 5:30 p.m.) at City Hall – Jean Pigott Hall, 110 Laurier Avenue West, Main floor. On March 7, 2012 we held a community forum at the Main Branch of the Ottawa Public Library. The event was free and open to all. At this community forum, we discussed CoSA’s role and purpose to achieve No More Victims, and how we accomplish remarkable results in the National Capital Region and beyond. 2012 marks the 10th Anniversary of CoSA operating in Ottawa! 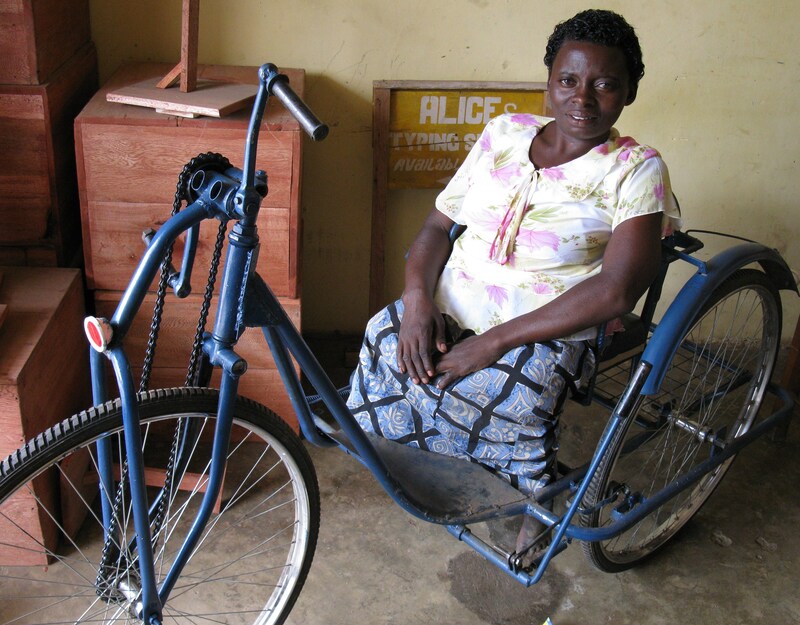 The CanUgan Disability Support Project www.canugan.org provides people with disabilities in Uganda with means of transportation and communication, including tricycles, white canes and hearing aids; as well as vocational training to help them earn a livelihood. CoSA-Ottawa helped to raise over $1000 toward this important cause! Cornwall Public Inquiry (2008) This study looks at the treatment and support needs of male child sexual abuse victims, in Eastern Ontario, who have also been perpetrators of sexual abuse as adults. Please note: scroll down the page to Circles of Support and Accountability – Male Victims of Sexual Abuse as Children Who Have Offended Sexually as Adults.